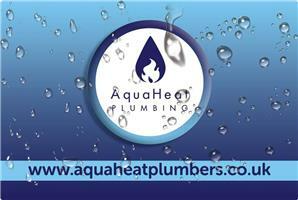 Welcome to Aqua Heat Plumbing UK Ltd.
We are a small family run business that I built up following my late grandfather who was also a plumbing and heating engineer. We have over 13 years’ experience within the trade and rely solely on our reputation from you, our customers. We are dedicated to giving you unbeatable service at cost effective pricing. For more information, pictures and reviews for our company, please see our Facebook page.